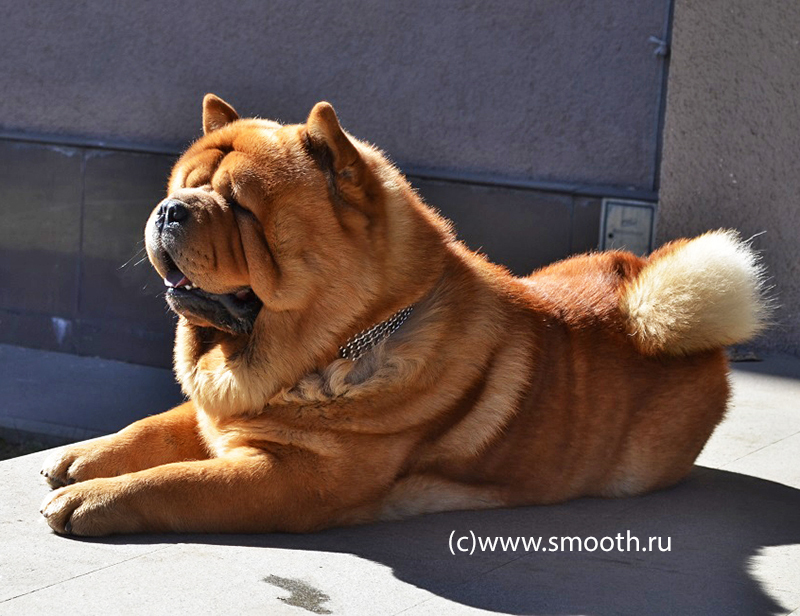 CHOW-CHOW SMOOTH Kennel LOVE STORY. 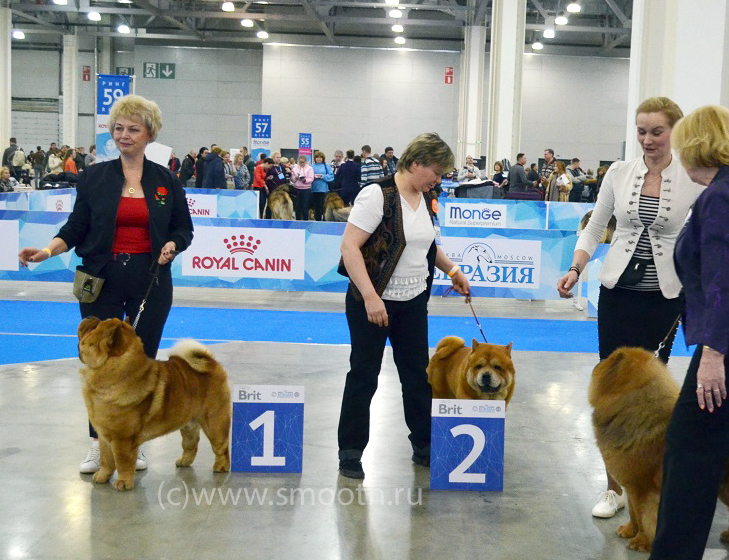 of Smooth Chow-Chow Kennel "LOVE STORY"
First of all I would like to say a few words about us and our kennel. 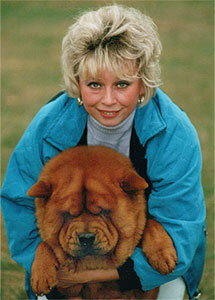 We bought our first chow-chow in 1993. 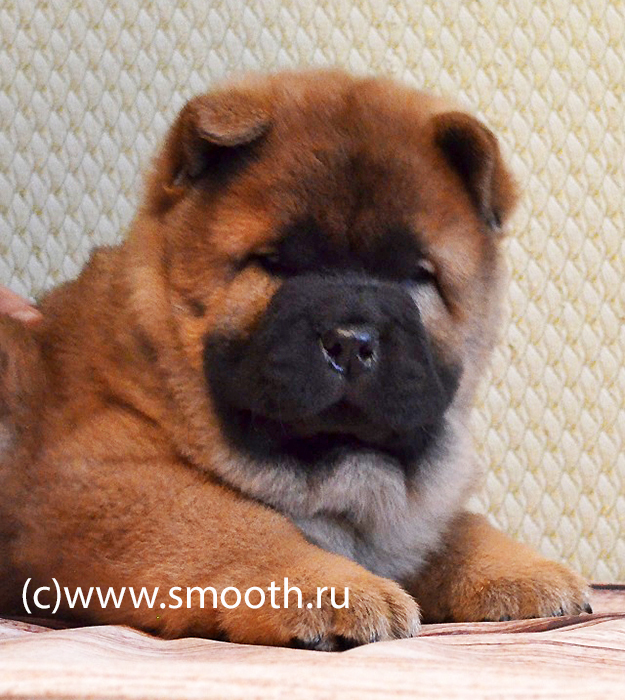 And Bonya (Bonnie Smoothland) appeared to be a smooth i.e. 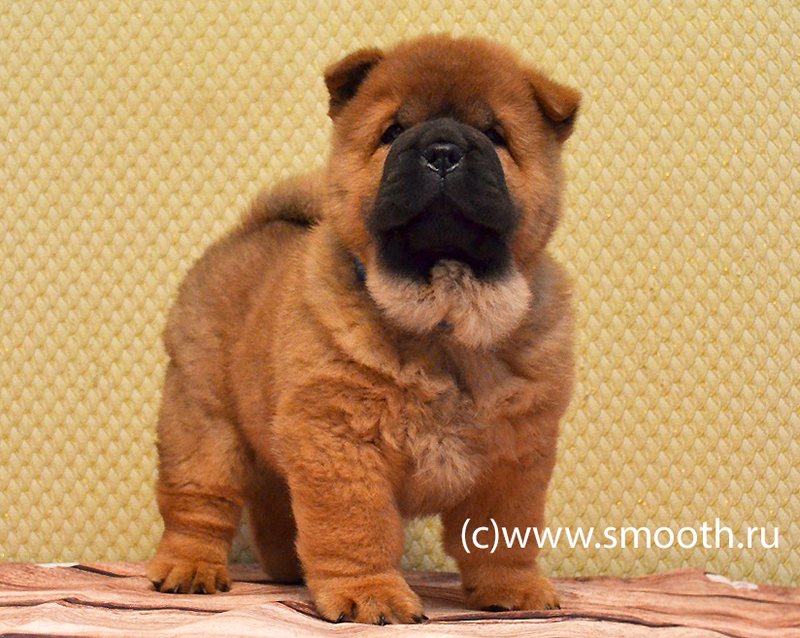 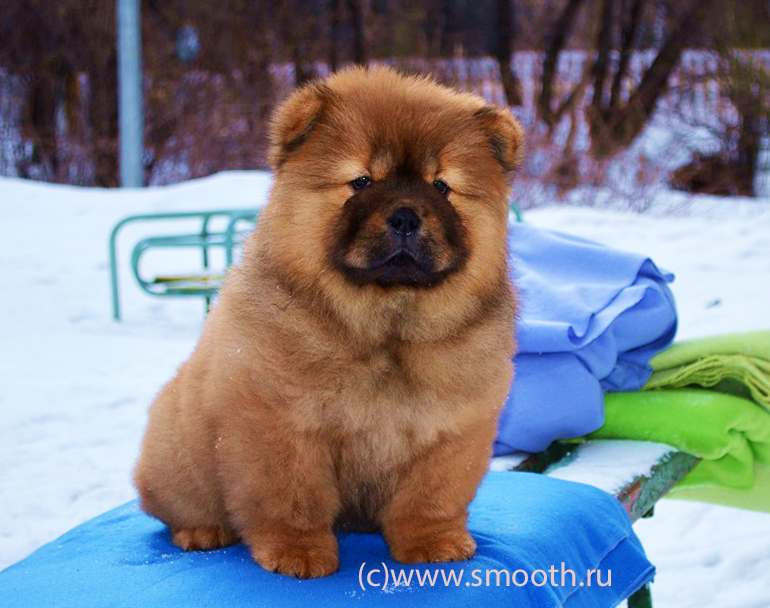 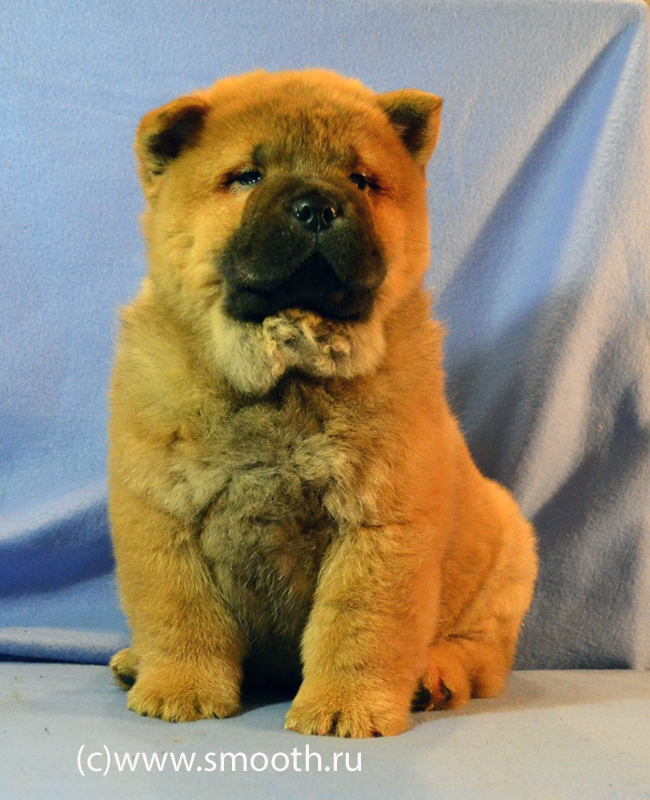 short-coated chow-chow. 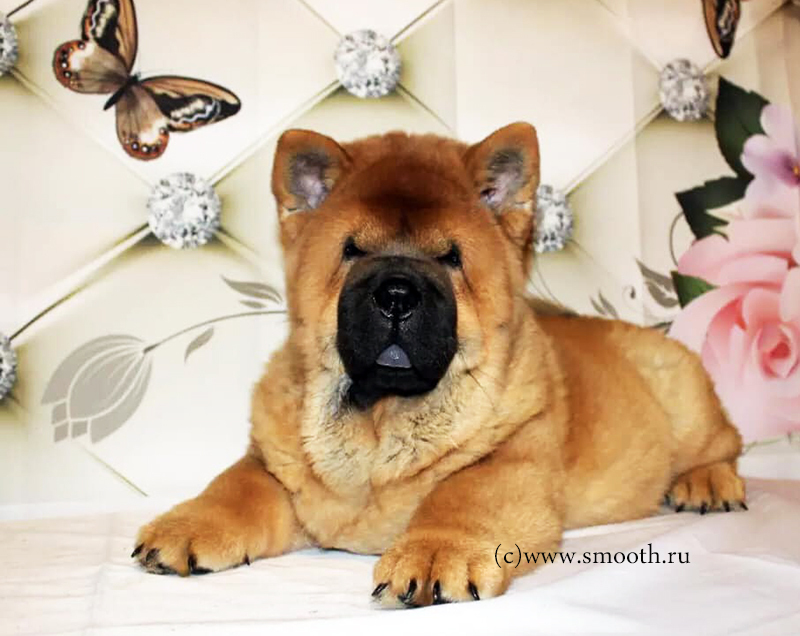 Having collided with absence of the information about smooth chows, with their small quantity in our country, we have decided that it’s necessary "to struggle" somehow with it. 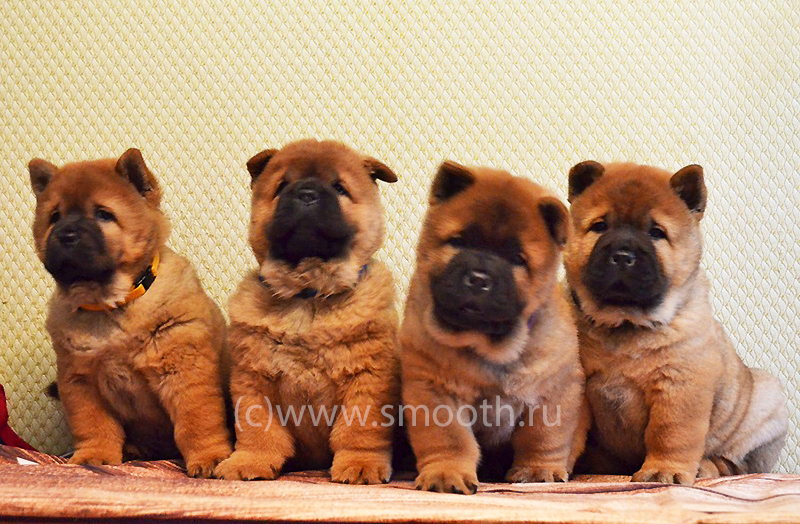 In fact these plush dogs have the right to be known and loved as well as their fluffy brothers! 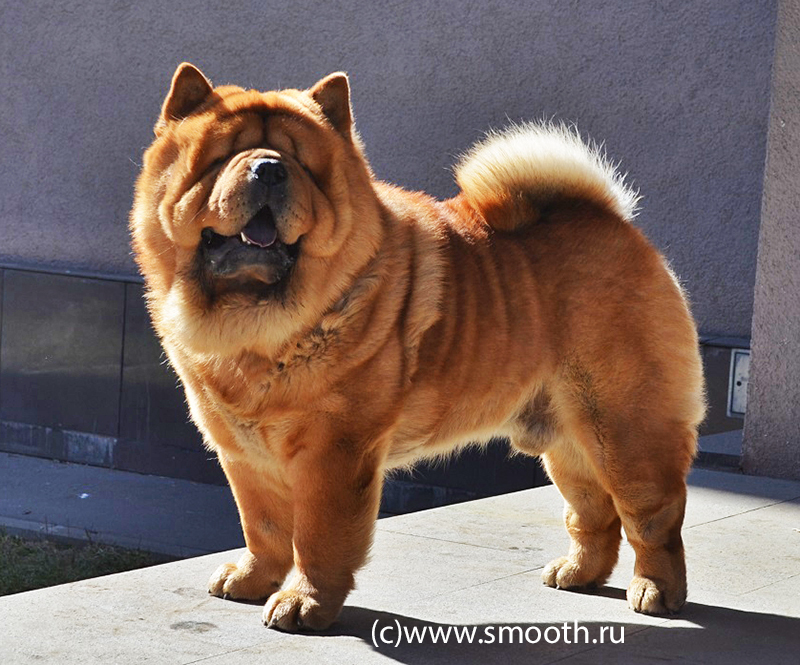 I think that smooth-coated chows undeservedly stay in "shadow" of their fluffy colleagues. 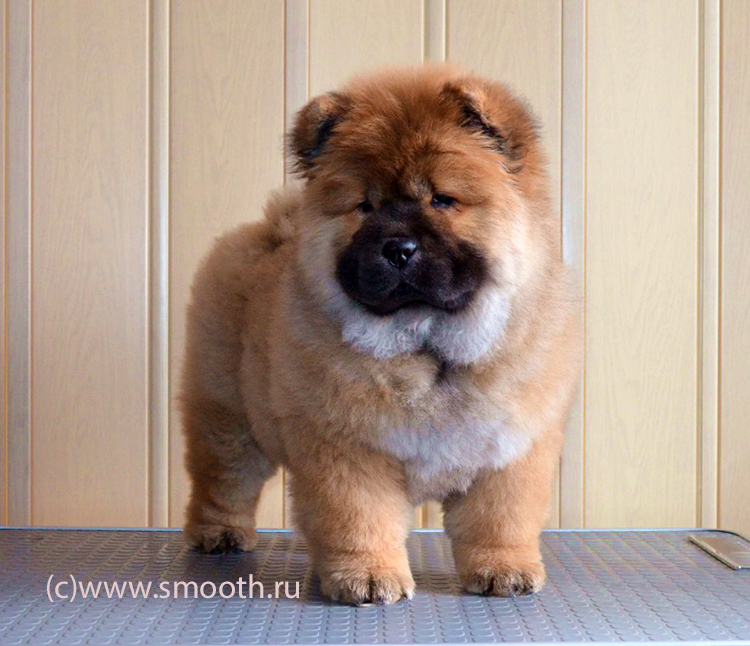 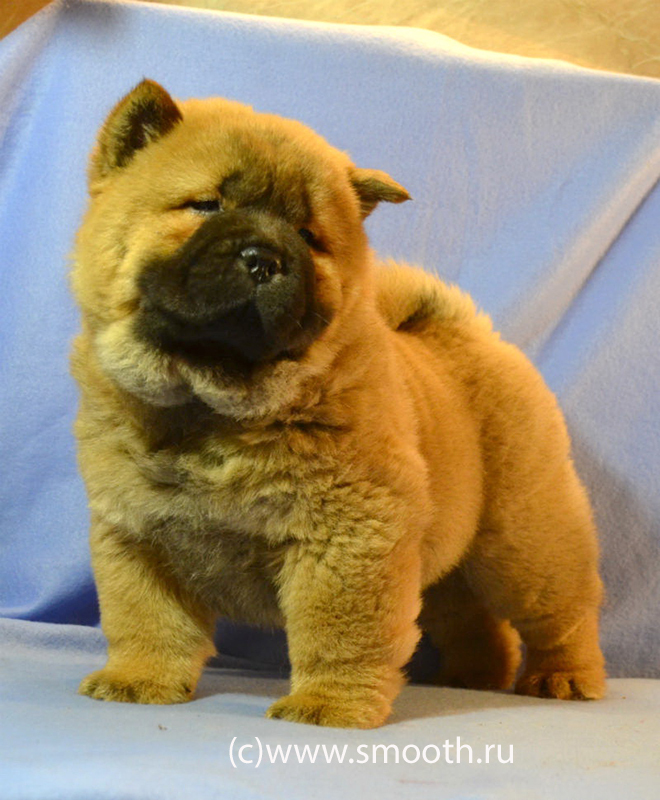 In fact good smooth chow causes not less surprise and admiration of people than fluffy one. 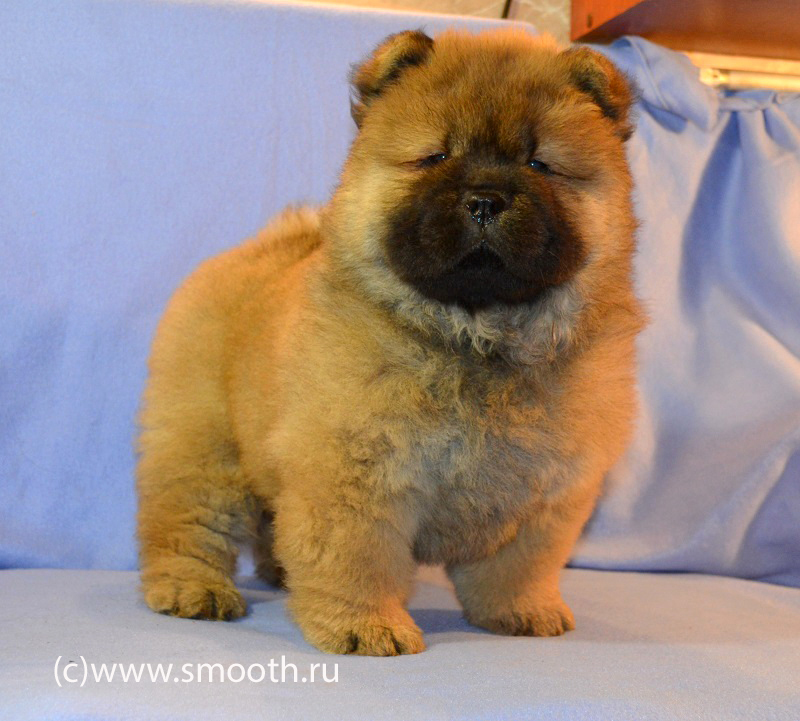 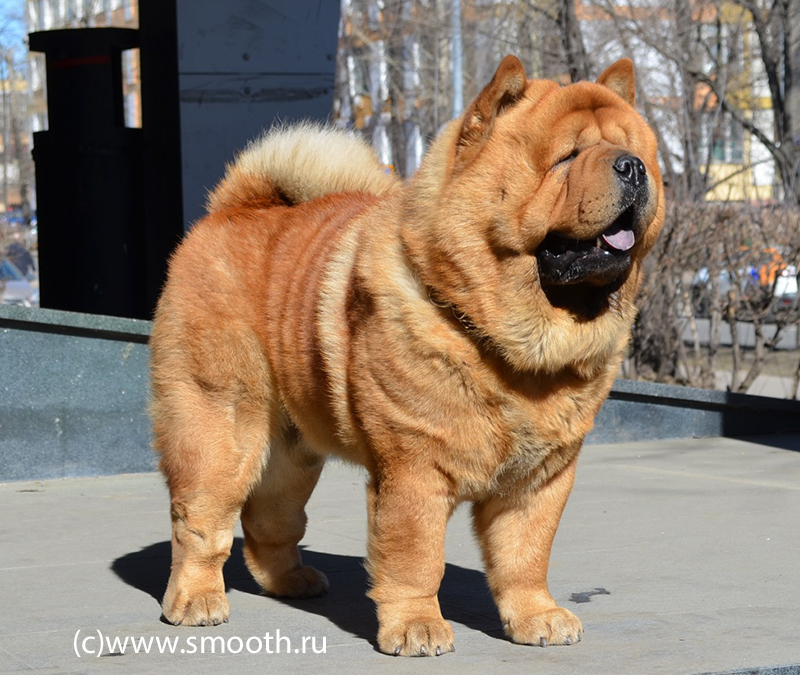 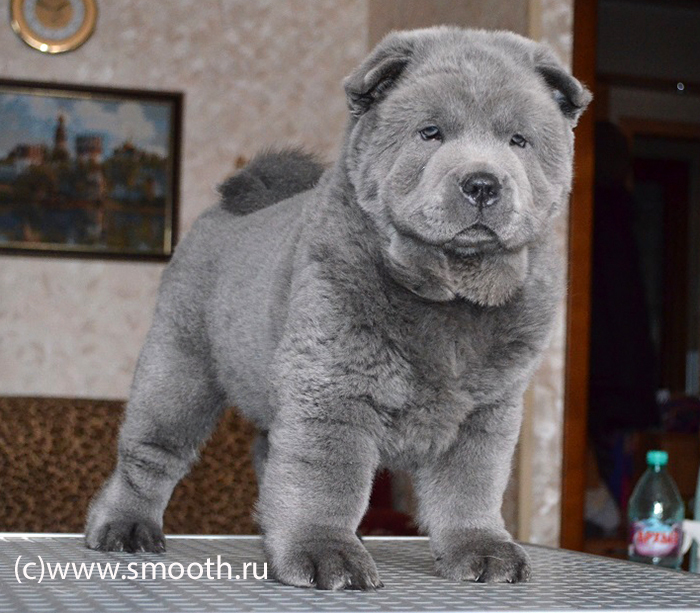 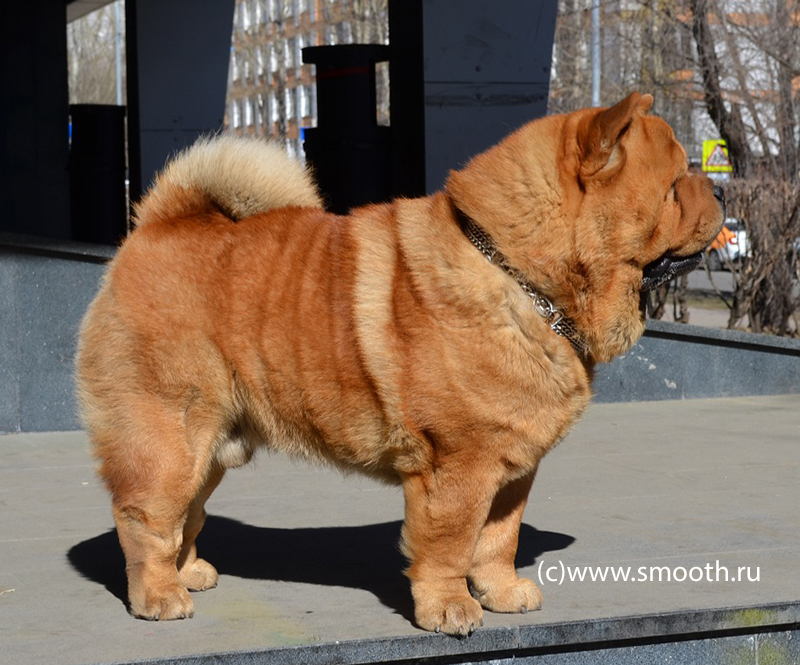 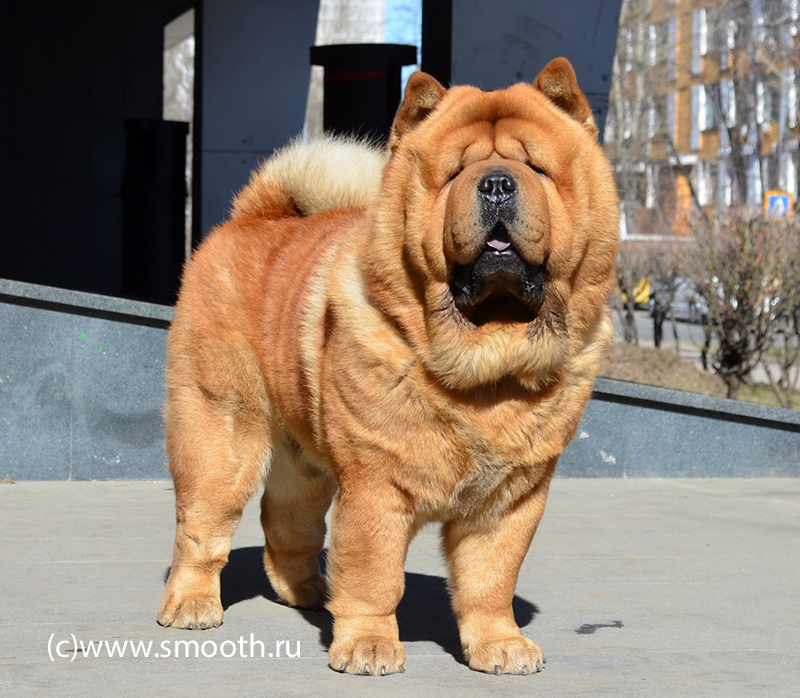 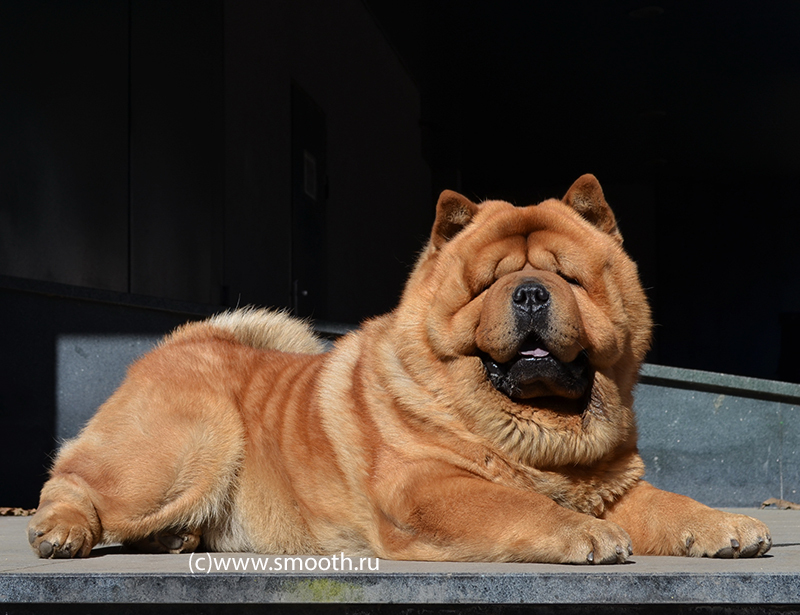 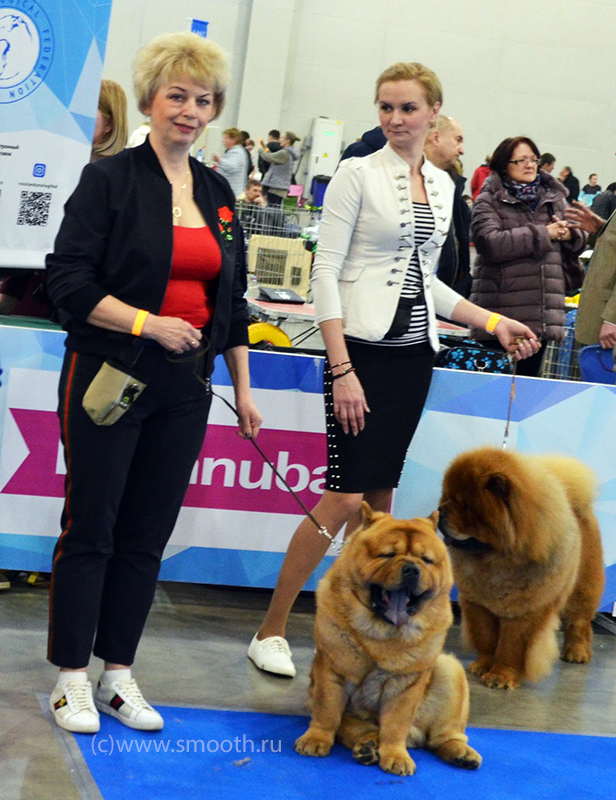 Unfortunately we have too small amount of them here in Russia and majority of people who want to have a chow-chow even don’t know about this type of breed. 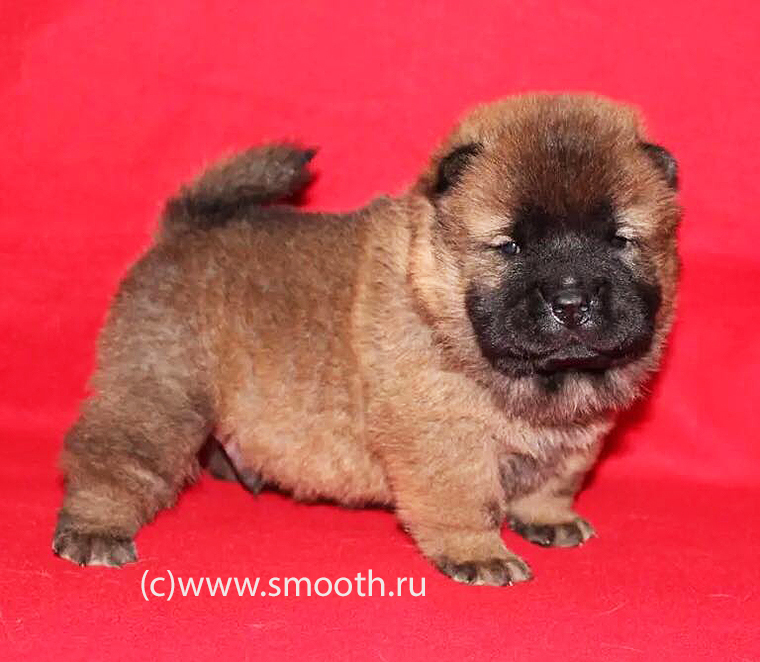 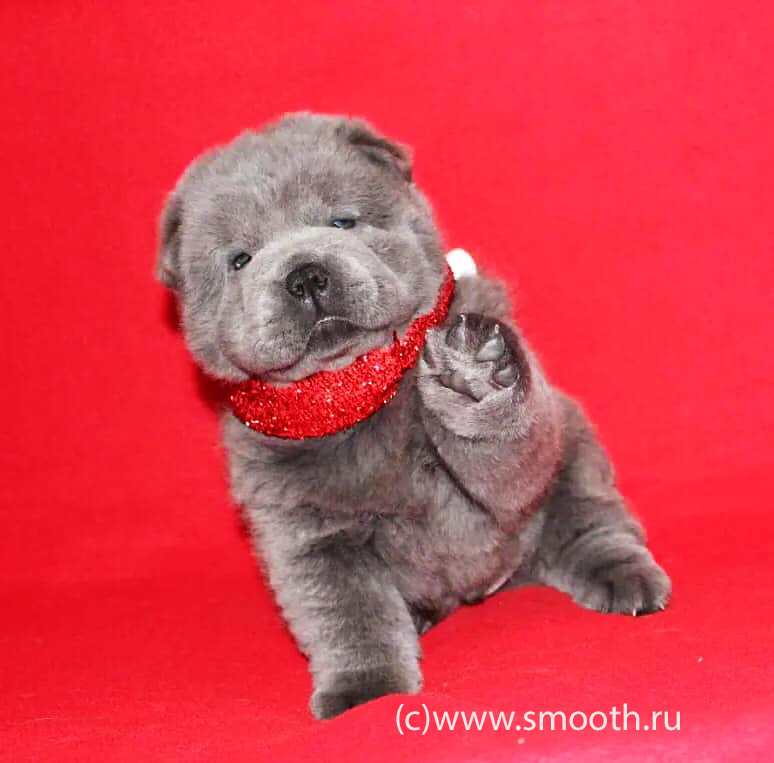 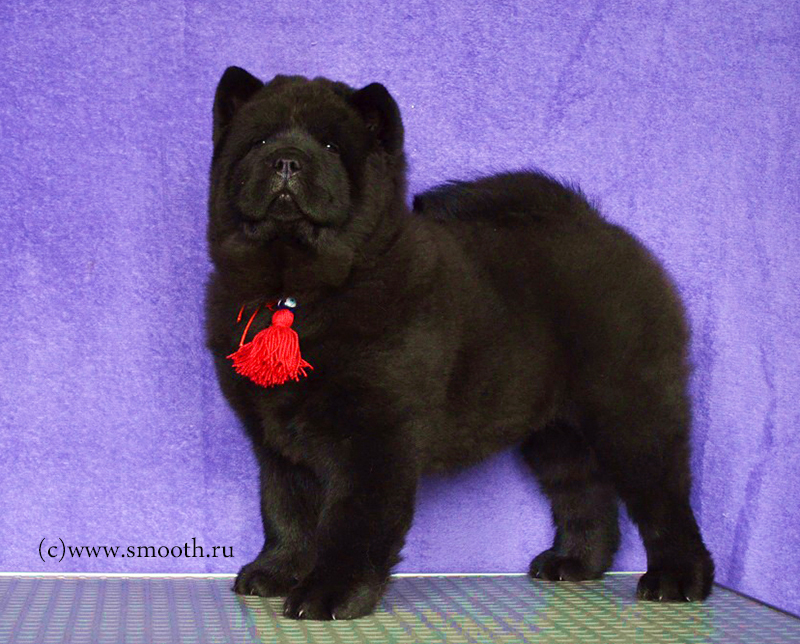 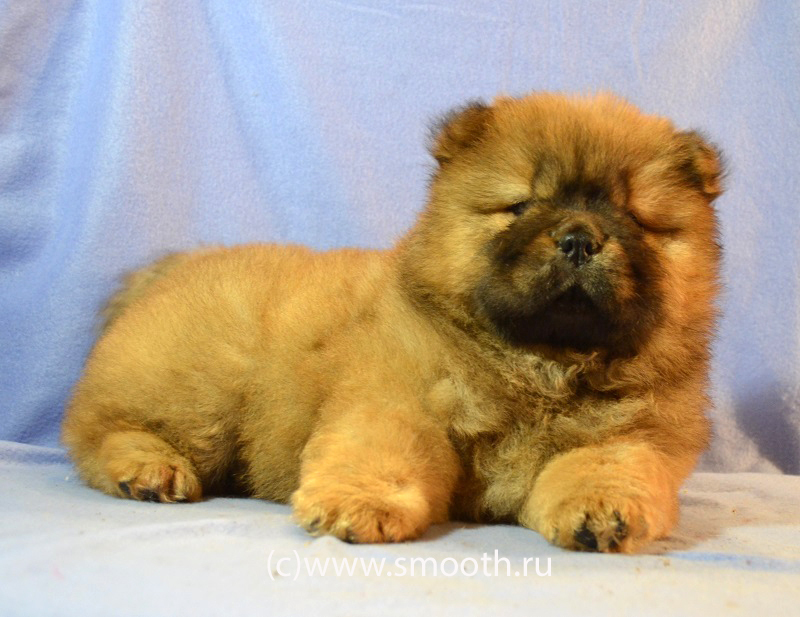 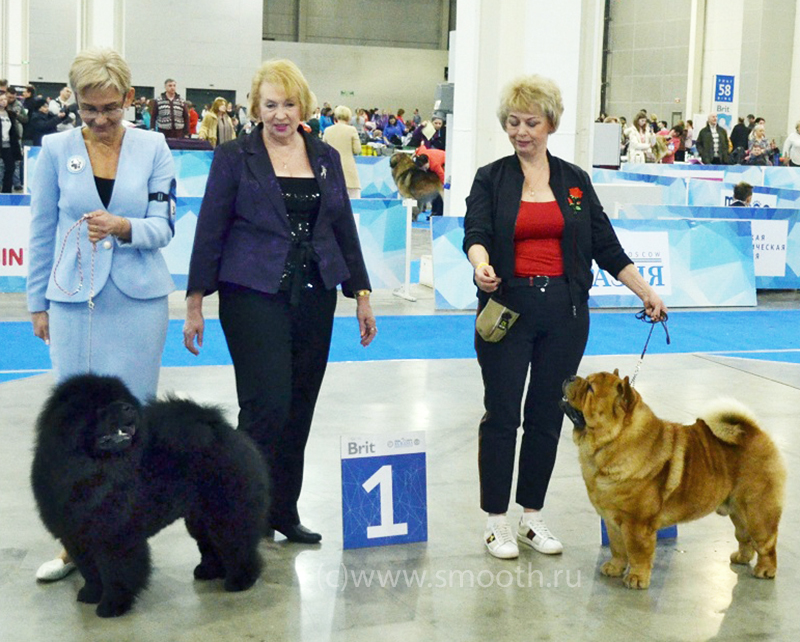 In 1999 we have registered the kennel "Love Story" for breeding and popularization of smooths in Russia. 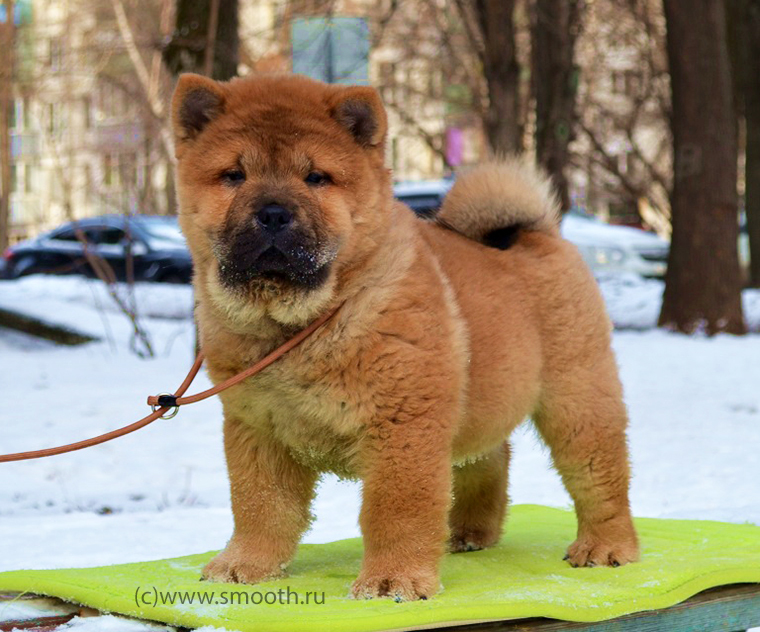 Certainly in conditions of a city apartment our opportunities are rather limited but nevertheless we try to do our best to make people love smooth chow-chows and know about them as much as possible. 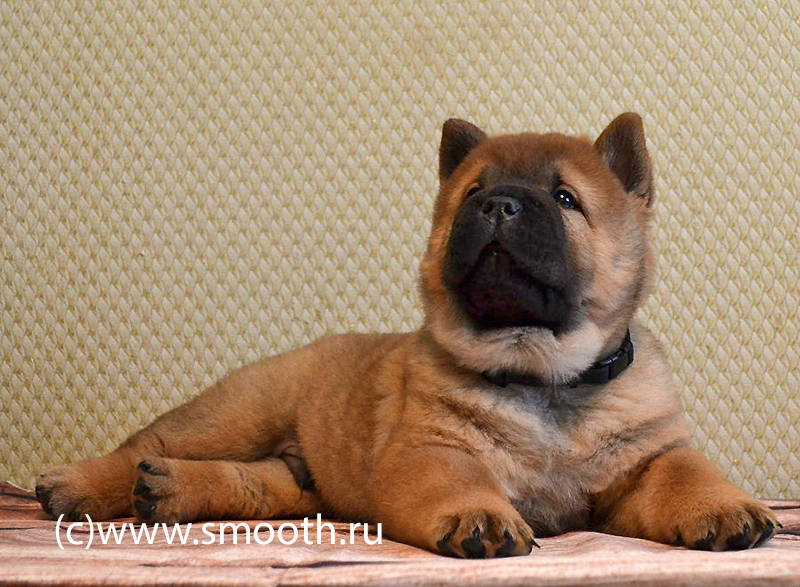 I hope you will find something interesting about these remarkable dogs on this site. 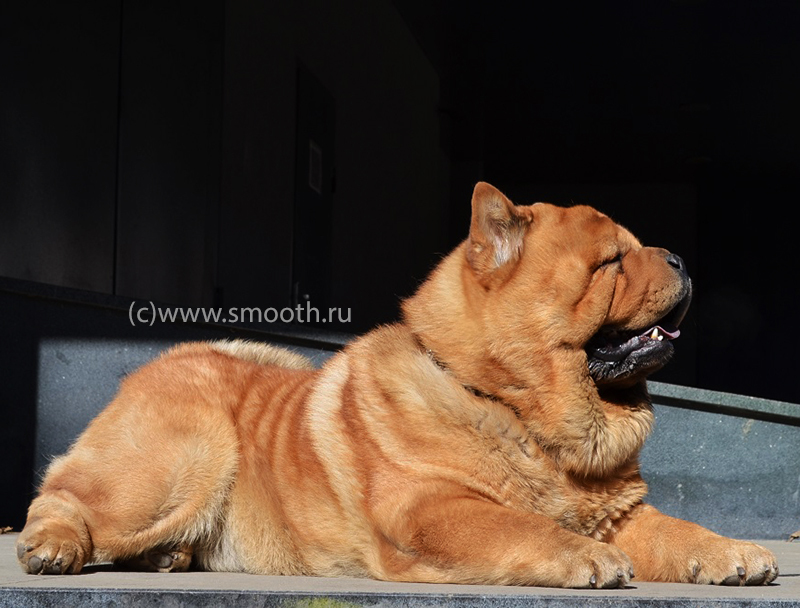 Concerning mountains… Dogs are not our only hobby. 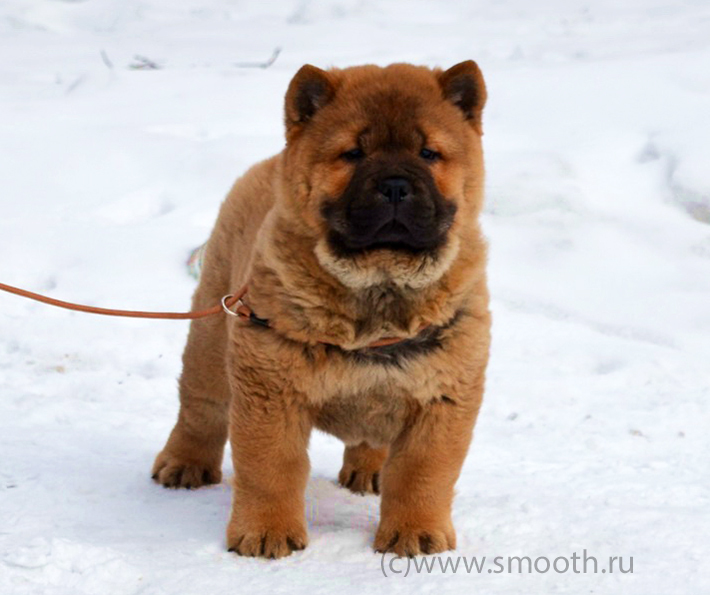 We with my husband are big admirers of mountain skis and tourism. 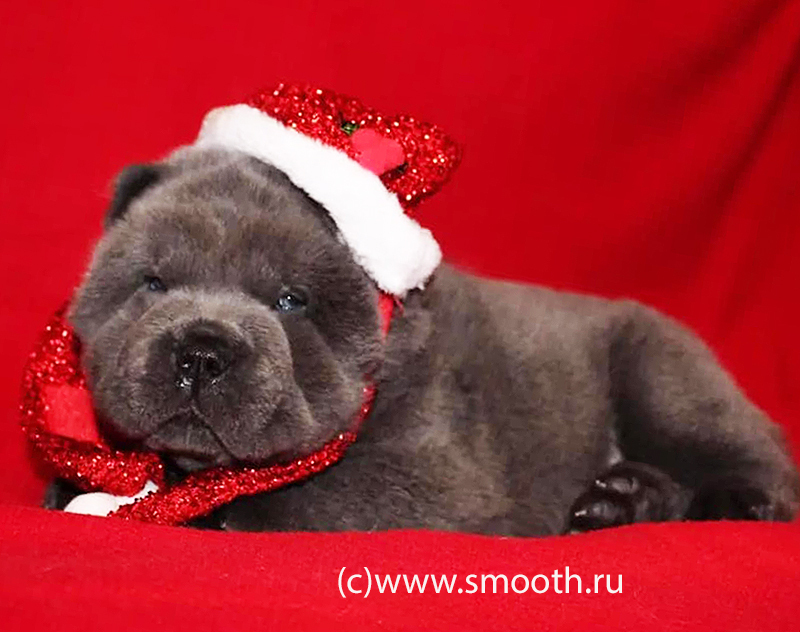 Therefore the images of mountains were used in design of this website. 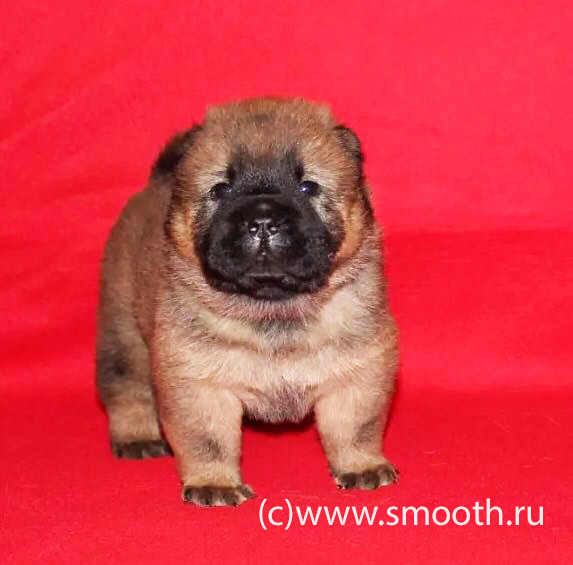 We have new photos of puppies. 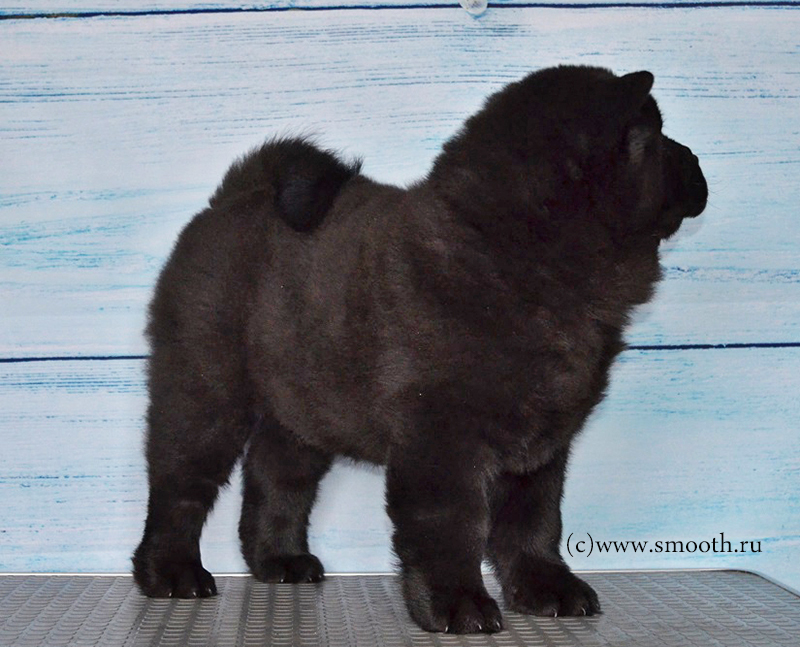 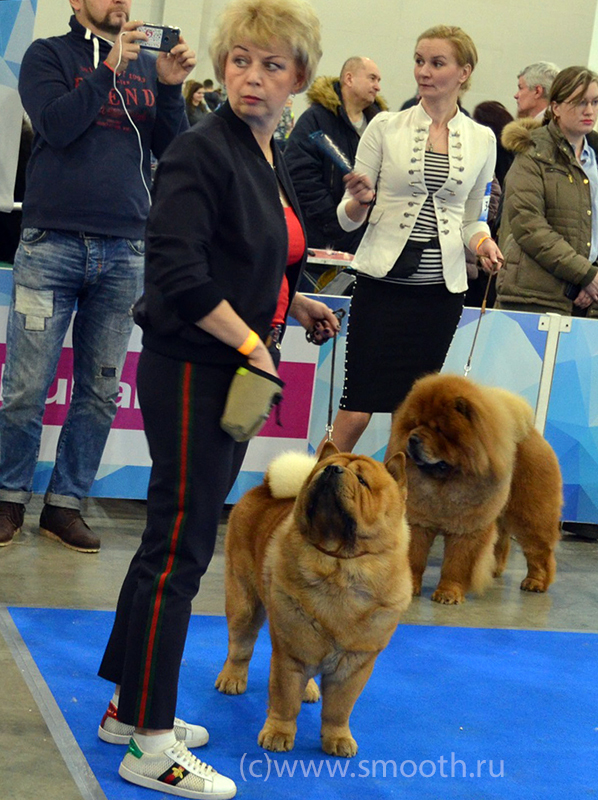 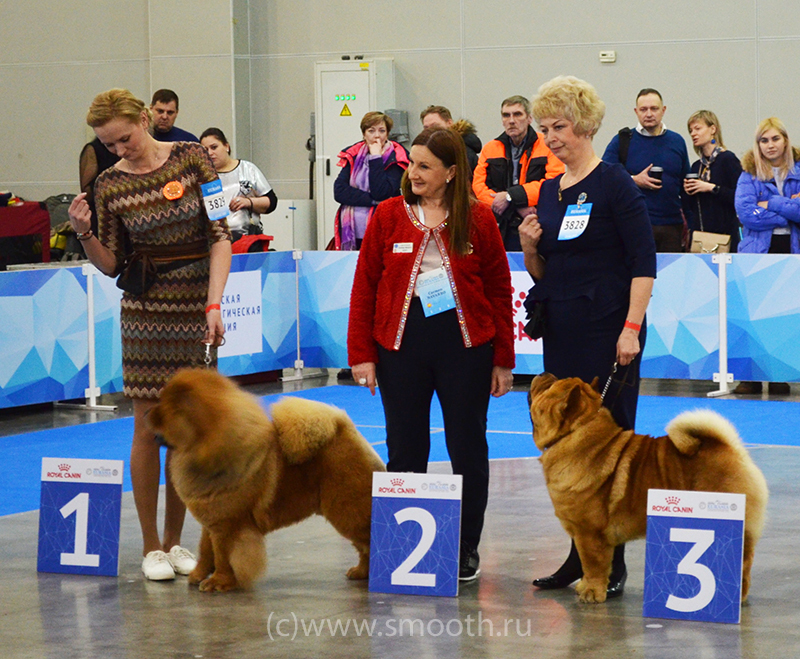 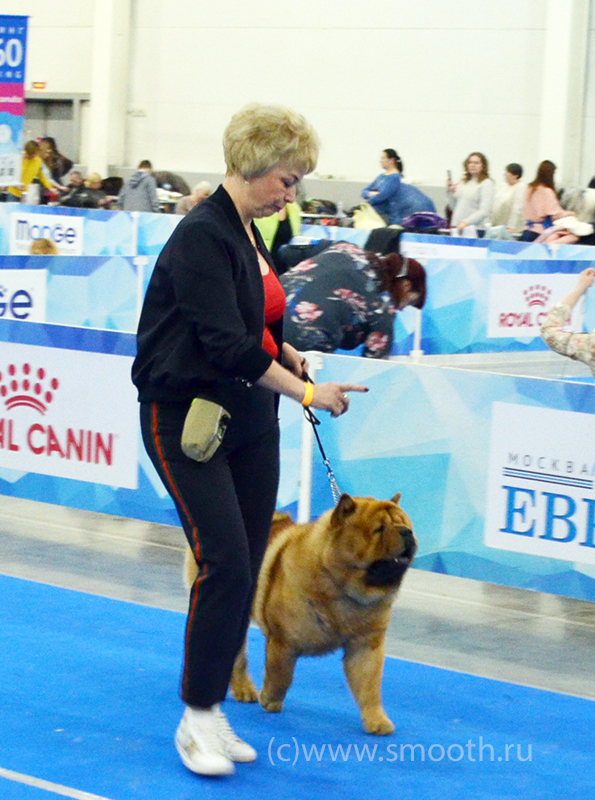 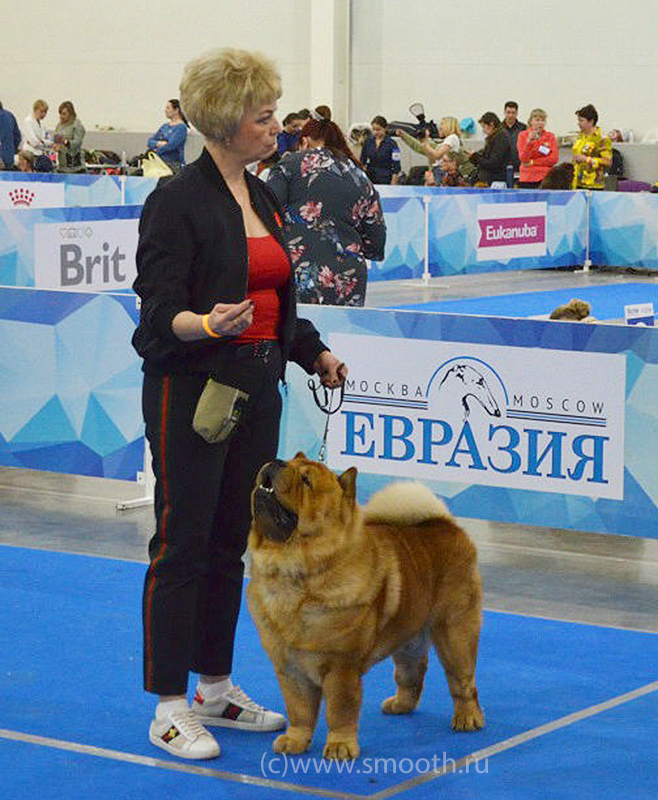 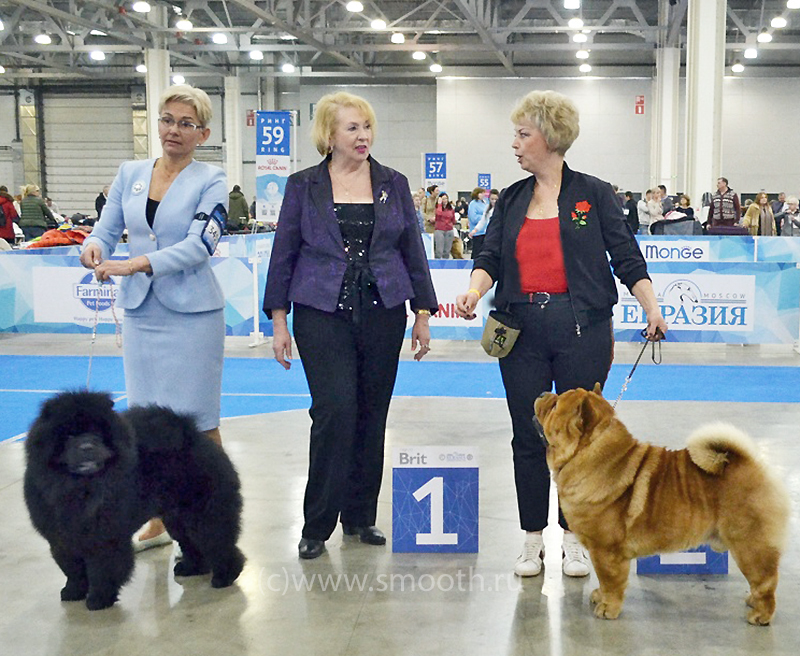 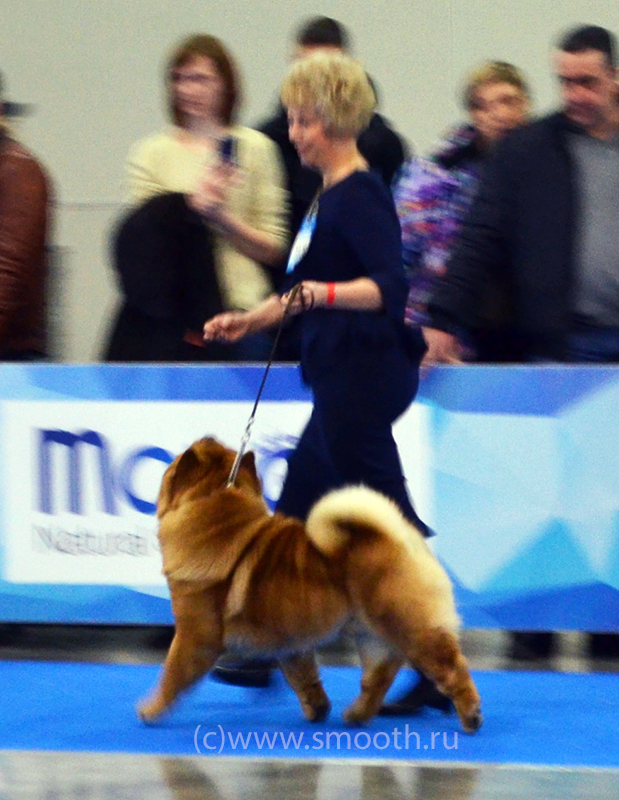 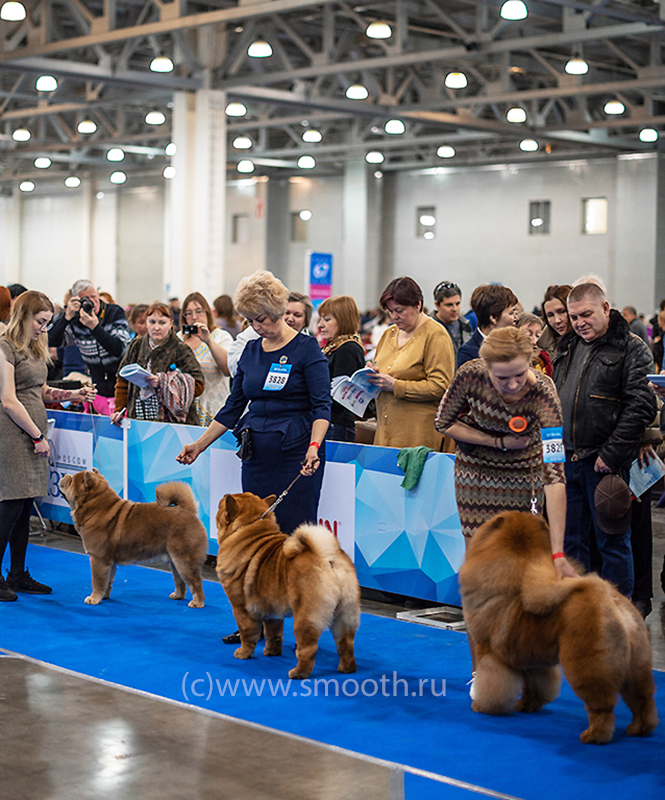 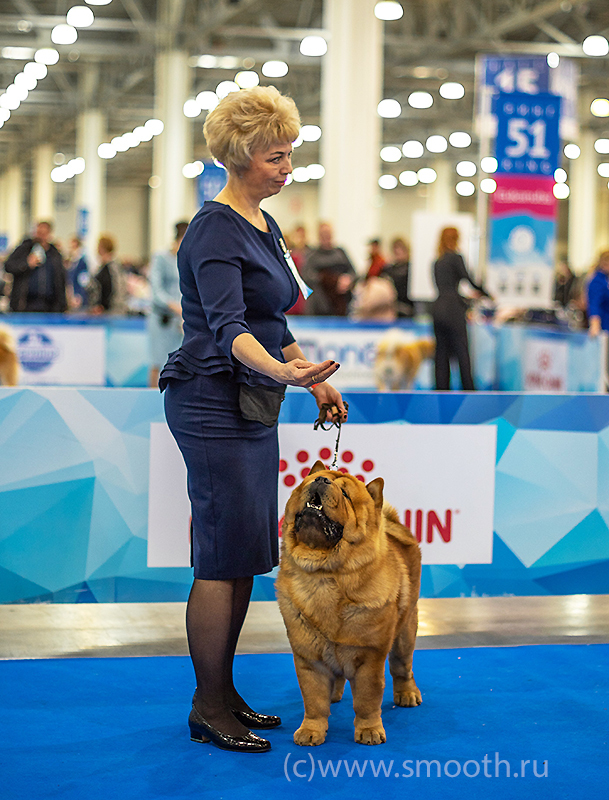 International dog shows CACIB FCI-RKF: "Eurasia-2" 24.02.2019г. 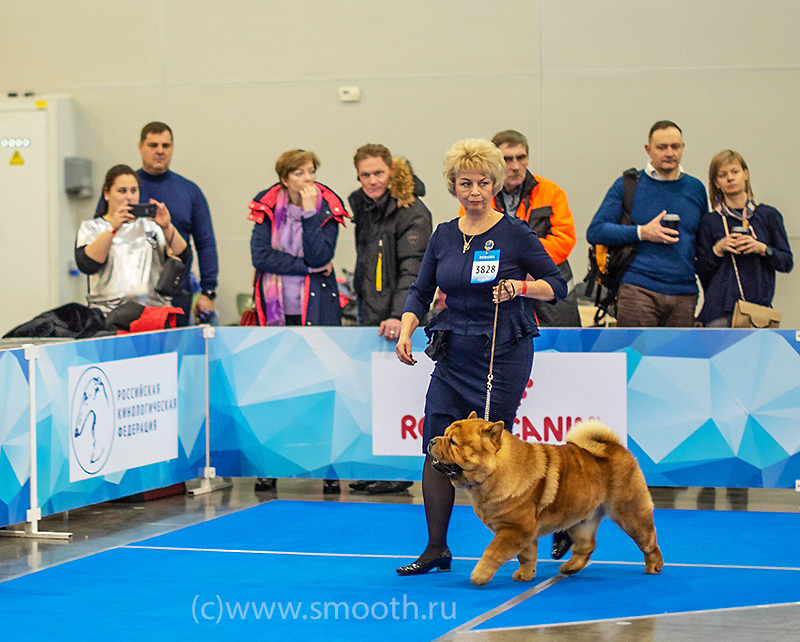 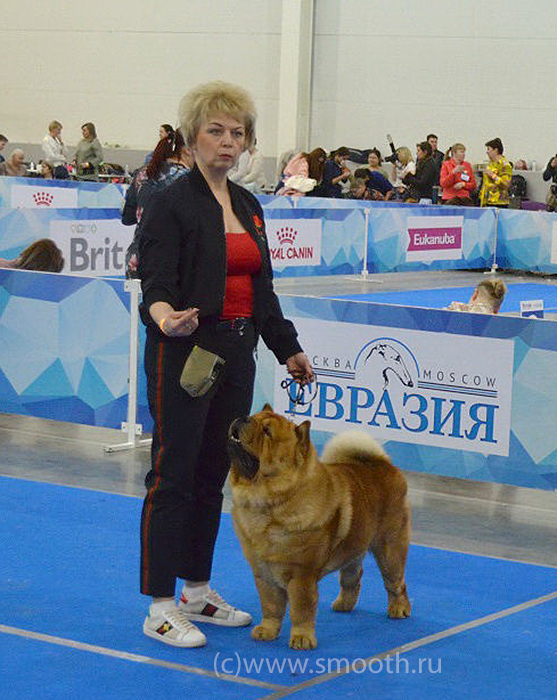 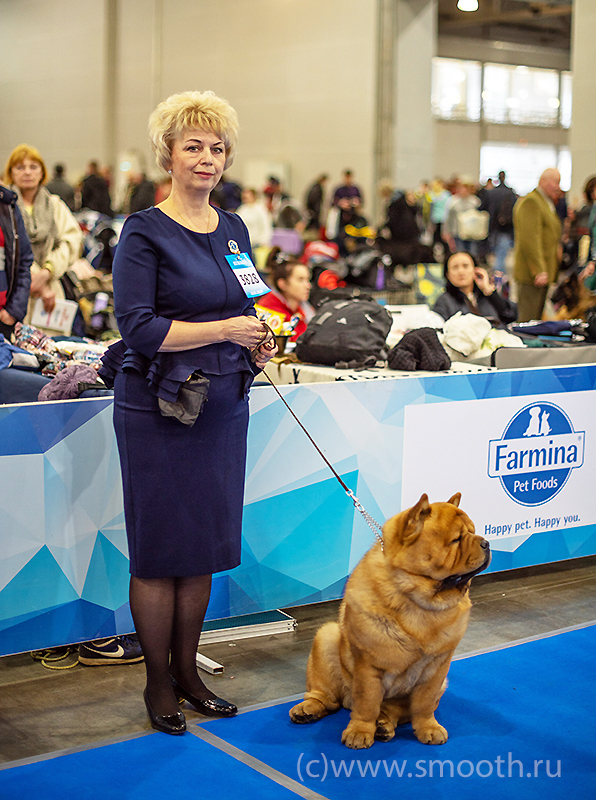 International dog shows CACIB FCI-RKF: "Eurasia-1" 23.02.2019г. 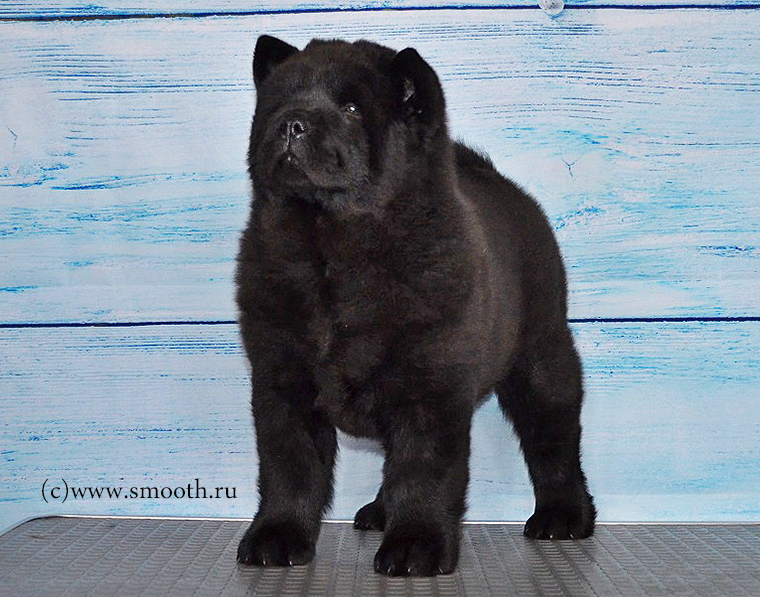 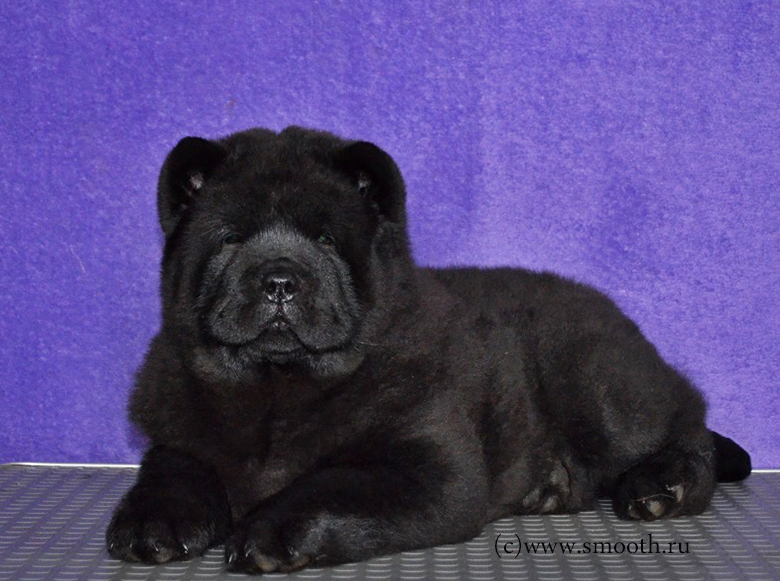 Kennel offers to reserve puppies born to Joy (Drevniy Mif Real Leader for Love Story) in the kennel "Iz Sladkogo Korolevstva". 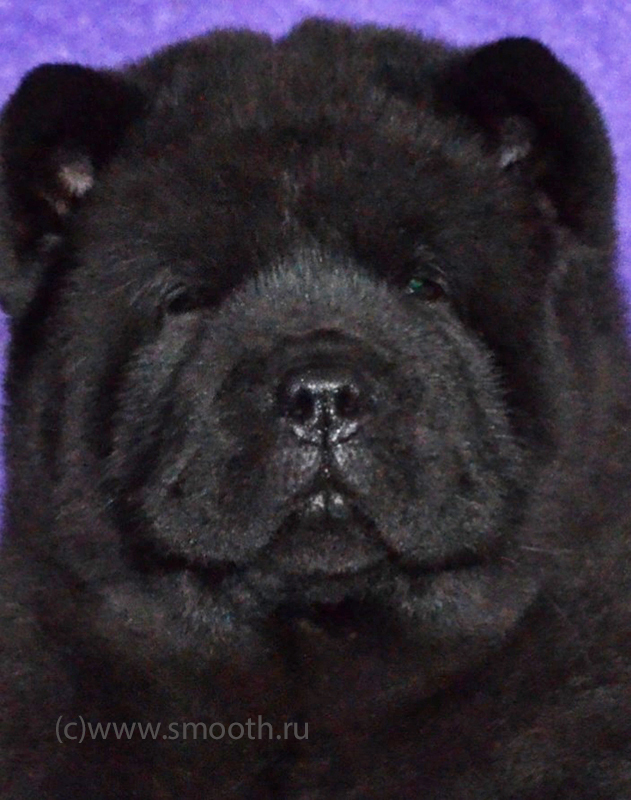 Please, find the pedigree and all pictures of the puppies on the page of puppies. 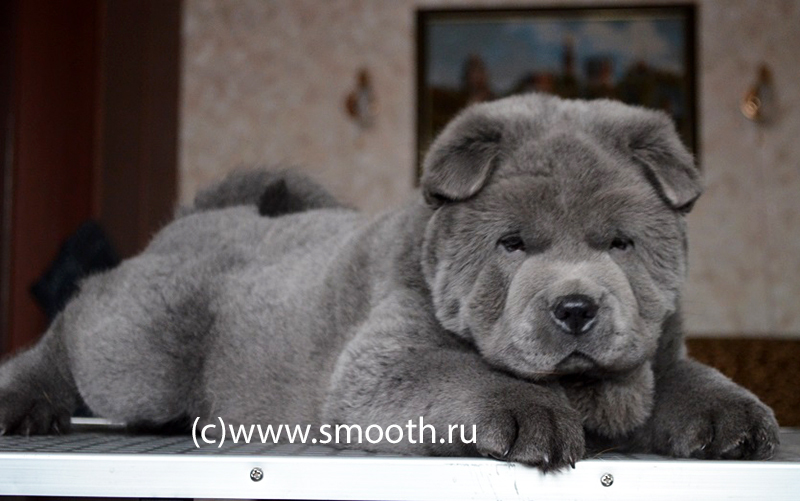 The kennel offers puppy Chow-Chow (Smooth) blue color. 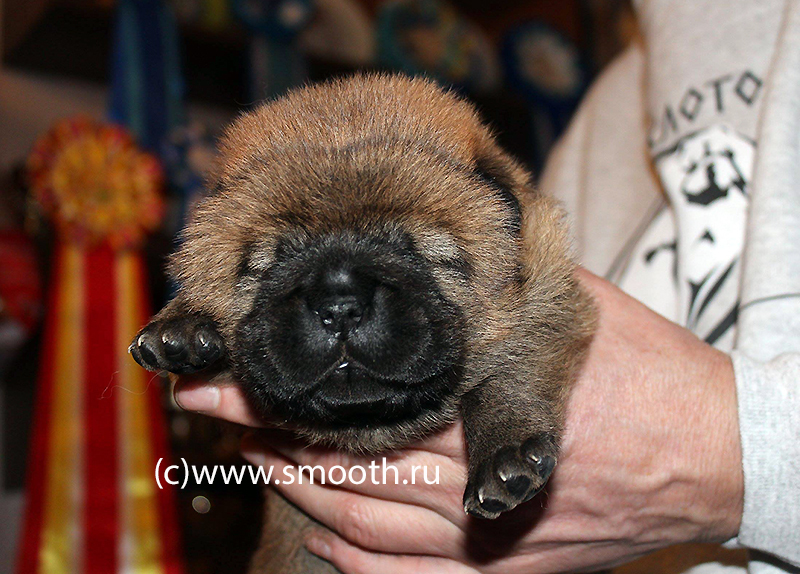 Kennel offers to reserve puppies born from our progeny.